James Island Pride is a citizen's committee of the Town of James Island. 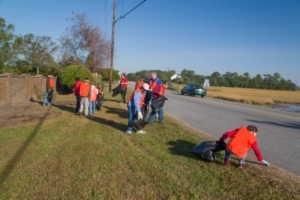 It's goal is to keep James Island Beautiful, particularly keeping our roadways, marshes, and parks free of litter. Please contact the James Island Pride team at jipride@jamesislandsc.us or call Town Hall at 795-4141 to volunteer. Please see our agendas and minutes. For more information, go to the James Island Pride Facebook page. Please click here to download our Community Hero Award form. Submit your favorite Community Hero today!